The OSHA Training Institute Education Center at Chabot-Las Positas Community College District, the only OSHA authorized OTI Education Center headquartered in Northern California, is reminding employers of the important role they play in reducing the spread of seasonal flu. The Occupational Safety and Health Administration (OSHA) has provided some timely information and guidance to employers and managers on how to protect workers from contracting and spreading the flu in their workplaces. Encourage workers to get the seasonal flu vaccine. You can partner with a local hospital or other medical facility to host a flu vaccination clinic in your workplace or arrange a time for workers to visit a facility to be vaccinated. Encourage workers who are ill to stay home. The CDC recommends that workers who have a fever and respiratory symptoms stay at home until 24 hours after their fever ends. Not everyone who has the flu will have a fever. Other symptoms could include a runny nose, body aches, headache, tiredness, diarrhea or vomiting. 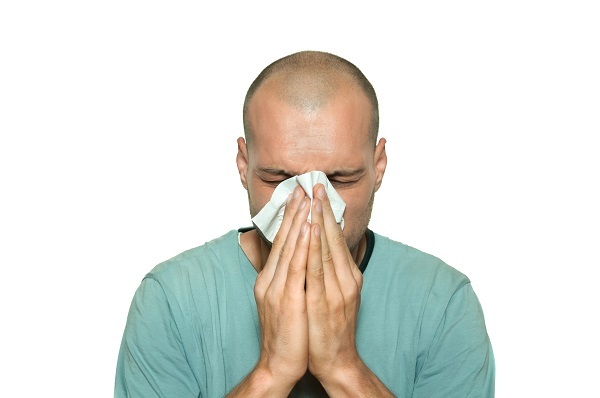 Develop a policy on how to deal with workers who may be ill with the flu. Determine who will be responsible for assisting ill individuals in the workplace and make sure that at least one person can serve as the “go to” person if someone becomes sick in the workplace. Post signs that tell workers the steps for proper hand hygiene and cough etiquette. Workers and others should have easy access to supplies, such as “no touch” wastebaskets for used tissues; soap and water; alcohol-based hand rubs; disposable towels; and cleaning and sanitation materials. Keep the workplace clean by frequently wiping down all commonly touched work surfaces, areas and equipment. Provide disinfectants and disposable towels for workers to use to clean their work spaces and surfaces. Train workers on how flu can be transmitted in the workplace and what precautions they can use to prevent transmission. Provide information about signs, symptoms and complications of the flu; policies and procedures for reporting flu symptoms, using sick leave and returning to work; vaccinations; and any required work practices. Employers who take steps to reduce the incidence of seasonal flu will not only help keep workers healthier but also lessen the negative impact of illness on their workplaces.